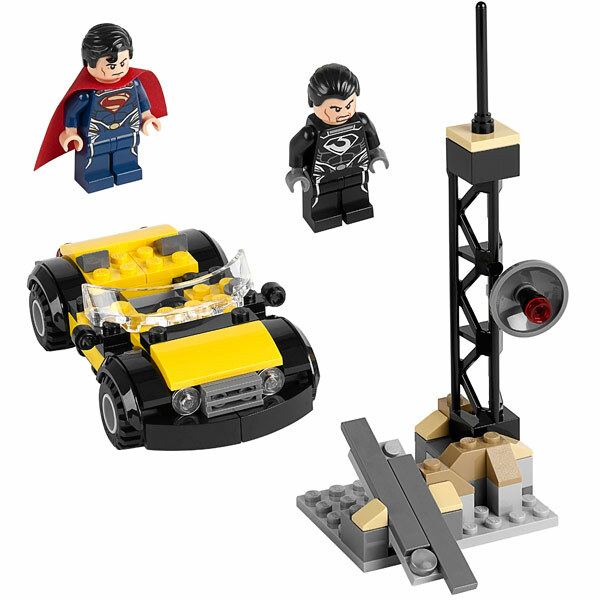 Fruitless Pursuits: First Look: Man of Steel Lego! The world is bracing for the Man of Steel marketing and merchandising deluge that will accompany the release of the upcoming film. 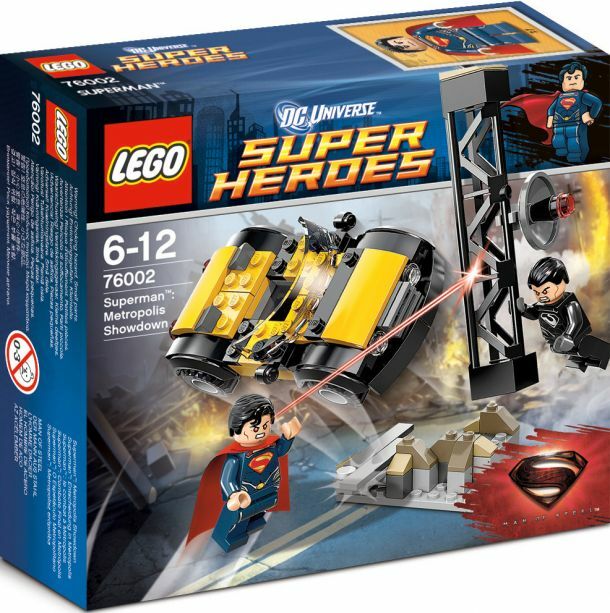 It’s reassuring to know that our ingenious Danish friends at Lego are leading the charge with, I assume, at least a couple of sets based on Henry Cavill’s portrayal of Superman. Here’s our first official images of one of the smaller ones. We get to see inside that alluring box... after the jump! I hope he acts the crap out of that role because Zod’s costume is a little on the bland side. Especially in this format. And the rest of this set sure goes to show just how reliant Lego are on their minifigures to make sales. I can’t imagine there are a lot of kids or collectors out there that are especially jazzed about that yellow car. Unless it has some special significance in the film that we don’t know about, like it can fly, turn into a submarine, and is voiced by Will Arnett. Who knows... maybe Lois does a pole dance on that antenna? UK Toy Fair’s Lego section was hidden away from prying photographers but rumours suggest that other sets will also feature Zod's evil intergalactic posse. I'm sure Zack Snyder's Superman will feature far more action than any previous film but I am a little disappointed that we're not going to see a crazy alien/robot Brainiac or something wild and unexpected like that. Where's Nicolas Cage Superman when you need him?